Hostleafy provides complete online web hosting system, which can be integrated into both web and mobile platform. You can easily boost your business with our Hostleafy. We have readymade solution for web hosting system like register the domain names, transferring, renewal, adding child name servers etc. as like goDaddy, Bluehost, etc. We help you to start the business similar like goDaddy. Our Hostleafy would be a perfect solution with multiple features and better user experience. Our application let you generate greater ROI for the business. All you needed to do it. Why choose our web hosting clone script software? The food ordering app can be seamlessly installed and set up to your system. Allow you to manage the complete system. Our readymade food ordering script can be easily customizable according to your business needs. 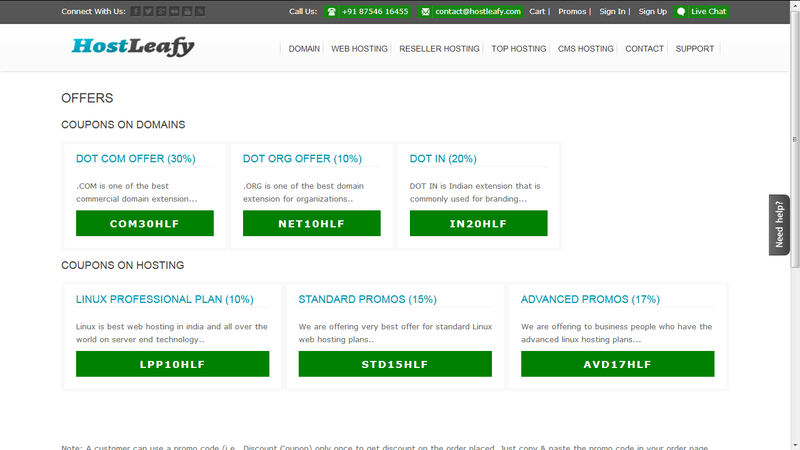 Hostleafy is very much suitable for Web Hosting business. Kick start your web hosting clone script business like bigrock, godaddy. Enhance your business with our web hosting clone script. Admin can check all orders which is placed by customers through online. admin can see dashboard for reports. 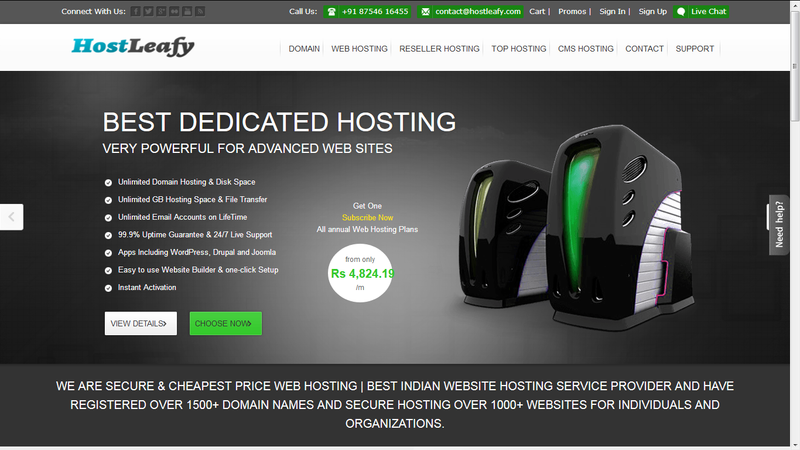 Domain can be registered , transferred, renewal done by API only. Hosting type can be as Linux, Windows, Reseller hosting, VPS, Dedicated. Customer can have features like updating personal details, transferring domain, renewal domain, adding or updating CNS, DNS etc through his account settings. The complete details for ordered items and also total no of sales, by weekly,monthly,day report. 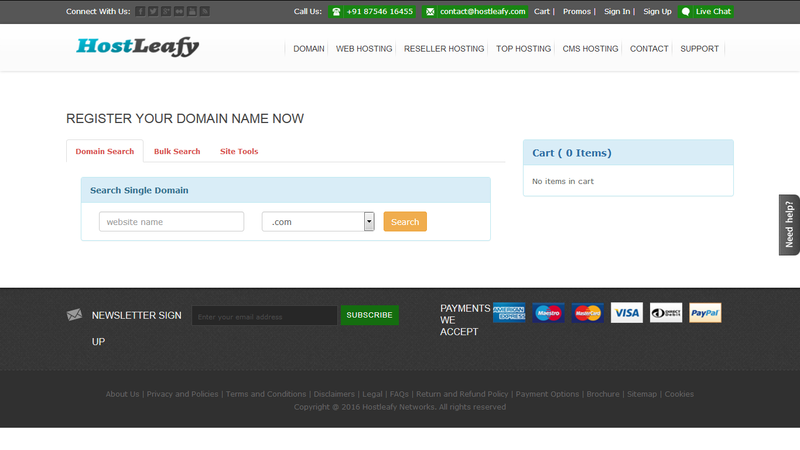 All domain extension is added by admin which have price of the respective domain extensions like .com,.in etc. There are two operating system based on server in default, You can add up later if you need. In transaction , admin can check all transaction made by customers. All hosting packages will be setup by admin for user purpose. Orders can be as complete, denied, processing, etc that can be changed by admin. Admin can contact to restaurant for any clarifications. Drivers where you can add your complete information of the driver and also can be possible to view complete details of each driver. The driver can be managed by restaurant user to assign the task. You can create review for respective restaurant and also can be viewed all reviews. Customer can update child name server and also domain name system also (DNS).